Last year at my annual State of the County address, I announced that we will be spending $45 million on upgrading county libraries in my district. Forty-five million dollars! Some of the facilities we have now just don’t cut it. Some people may think, “What do we need libraries for? No one reads a printed book anymore.” Well it’s a lot like what I said before about newspapers. Libraries have evolved. Across the county, our libraries are more popular than ever! In the last three years, libraries in my district alone have seen more than 8 million people pass through their doors. More than 9 million books, videos and other library materials have been checked out. Planning is underway and I expect construction on the facilities to be completed by the time I leave office. 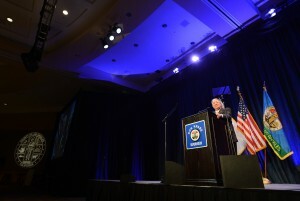 Stay tuned to Knabe.com for updates on all our “Operation Libraries” projects.